It always gives me great joy to march at Glasgow Pride in the company of my Episcopalian brothers and sisters. Today, I was marching with Changing Attitude Scotland, which is the network within the Scottish Episcopal Church that works for the equal rights of LGBT people within the Church and beyond. I was out there today with people from the Diocese of Glasgow and Galloway, many of whom were from my home church of St Mary’s Cathedral; but I was also out there with people who had come from across the Province to join us. Pride is about marching for gay rights, which are equal rights. Pride is about celebrating everything that has been accomplished, and about remembering the work that has still to be done. A number of us out there today were involved in the equal marriage movement in Scotland. A number of us have now turned our attention to the movement for marriage equality within the Church. Our work is not done. I think it’s really important for religious groups to be seen at Pride. I’m always pleased to see groups from the Reform Jews, and to have a chance to catch up with the Metropolitan Community Church and Affirmation Scotland. I think it’s important for this face of the church to be public and out there. The group that I march with has grown in size and enthusiasm, year after year after year. There were more than thirty of us at Glasgow Pride today, a far cry from the four wet and bedraggled Piskies who gathered on the Royal Mile in 2008. 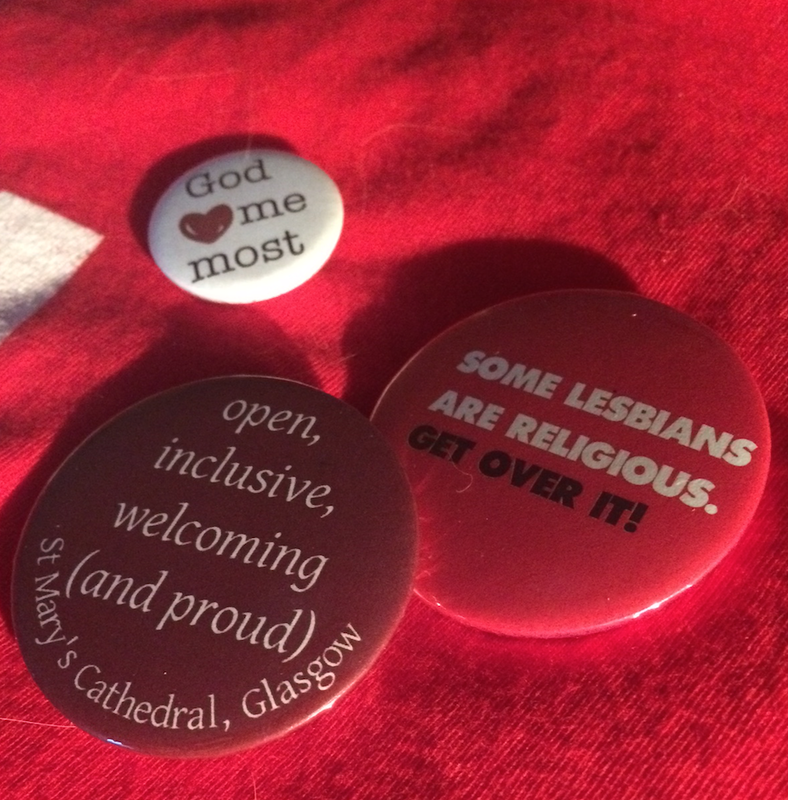 This year was the first year that our efforts at Pride have been partially funded by the Diocese of Glasgow and Galloway, and that’s a big thing. We are no longer a fringe movement or a special interest group. We are in the Church and of the Church, and the Church is starting to recognise that. That’s a really big thing. The world has changed. It’s changed because we keep changing it. And every time we do something like this, we change it a little bit more. As long as our religious institutions are not equal. As long as our youth are rejected by their families. As long as a teenager can be killed merely for being on a Pride march. Our work is not done. Today was a great Pride. Thanks to Glasgow Pride and to the Scottish Episcopalians who came out to support us. This entry was posted in Blog and tagged changing attitude scotland, lgbt, scottish episcopal church, st mary's cathedral. Bookmark the permalink. Beautiful. And so true. Thank you. I regret not having done this before. Your words are so lovely and so accurate I was so proud and happy to be taking part in this amazing Pride Walk. Thank you. We were delighted to have you with us. Thank YOU Beth for your constant hard work and endless good humour and never ending passion. Just – thank you. I loved seeing the coverage on FB and as with you in spirit.